Ready for some adventure this summer? Here are some recommendations to get your adrenaline surging! You don't have to go to the jungle to get the rush of soaring through the trees on a zip line–you can do it right here in Bridgeport. Head to Portland if you want to try rock climbing and cliff jumping as well as zip lining. The ultimate adrenaline rush is jumping out of a plane. Head over to Storrs where experienced skydivers and first-timers can feel the rush. The sky coaster at Lake Compounce isn’t exactly bungee jumping, but it’s the closest thing to it here in Connecticut. You will be strapped into a harness and dropped from 180 feet. You’ll be flying at about 65 mph. Go up 5280 feet in the air and enjoy views of Connecticut and surrounding states from a hot air balloon. If you don’t want to go quite as high, Adventure Balloon offers a one-hour sunrise flight when the winds are calm. offers 20-minute intro flights on their seaplanes. If you like it, purchase lessons and learn to fly one yourself. Hold hands along the smooth waters of the Farmington River, but be prepared for exciting rapids. Head out onto the open sea – or at least onto the open Long Island Sound. Longshore Sailing School in Westport offers affordable boat rentals by the hour. You can also try paddle boarding, canoeing and kayaking. in New Milford offers an opportunity for experienced and first-time spelunkers to explore an underground cave. The whole family can go like the wind in go karts on Stratford Speedway’s outdoor track or inside at one of On Track Karting’s locations. Grab a group of friends and battle it out on the paintball field. Extreme Paintball in Waterbury offers 10 different courses on 75 acres. Connecticut offers many scenic routes for bikers. Popular ones include the Northeast Country Loop starting in Ashford, the Scenic Durham to Old Saybrook route and the Lovely Litchfield Loop. Check them out here. Connecticut offers many scenic routes for bikers. Popular ones include the Northeast Country Loop starting in Ashford, the Scenic Durham to Old Saybrook route and the Lovely Litchfield Loop. Take a horse out on the trails or even get riding lessons together at Spruce Farm. Experienced riders can head to Mead Farm in Stamford for trail riding through Stamford and Greenwich. (2,316 ft.) is the highest peak in Connecticut and offers spectacular views from the top. You might not think it, but there are many hidden gems of beauty in Southwestern Connecticut. From the Mianus River Park in Stamford and Greenwich to Tarrwille Park in Danbury and the Lower Paugusset State Forest in Newtown, you will find hikes for all fitness levels. Check out some trails here. If you’re not an experienced hiker, Kent Halls offers an easy hike along a scenic waterfall. Make a day of it and bring a picnic or check out the shops in downtown Kent. If it's too hot to hit a hiking trail, try a water one. Connecticut is home to water trails where you can kayak or canoe your way through the wooded landscape. Test your strength with paddleboard yoga in Rowayton. Take a class and then relax with a seaside dinner from SUP Yoga. Looking for slightly less extreme thrills? Try a water slide or make some breeze on a roller coaster. Quassy Amusement Park in Middlebury and Lake Compounce Family Theme Park in Bristol are two of the most popular amusement parks in the state. They aren't the only options though. 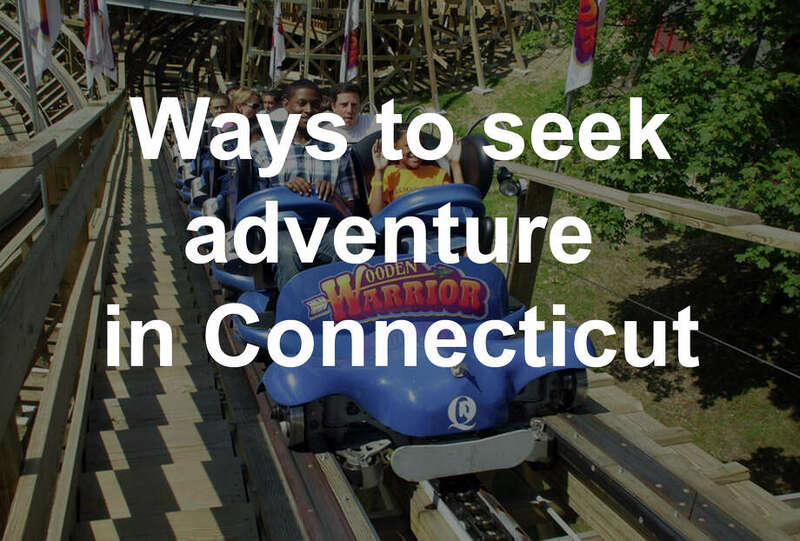 Check out five water theme parks in and around Connecticut. Six Flags New England is home to the region’s largest–and probably most thrilling–water park, but it's not the only one. If you want a summer adventure that the little ones can enjoy check out these water parks. Geocaching is a real-world, outdoor treasure hunting game using GPS-enabled devices. Participants navigate to a specific set of GPS coordinates and then attempt to find the geocache (container) hidden at that location. Click here to sign up.